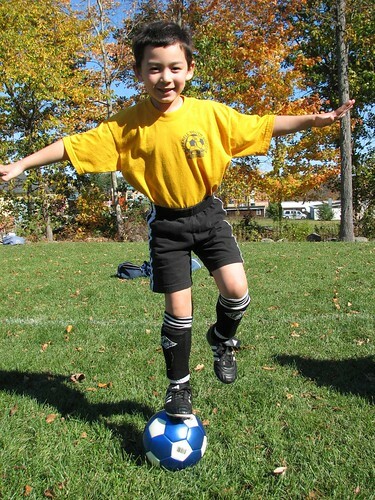 With spring soccer almost upon us, I thought I would post this cool picture of Adam on his soccer ball. He only really balanced for a split second and I luckily caught this shot with perfect timing. My first attempt looked like this. 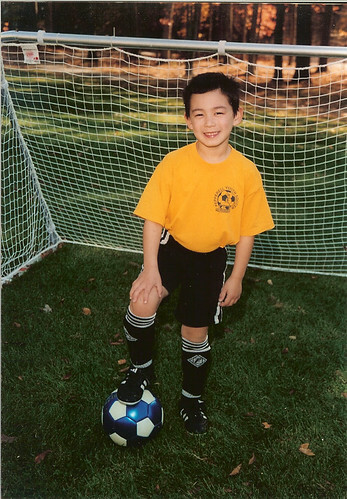 Lastly, here is his official soccer portrait for last season. His balancing picture sure is a keeper.....I'm surprised you were able to convince him to try a second time. 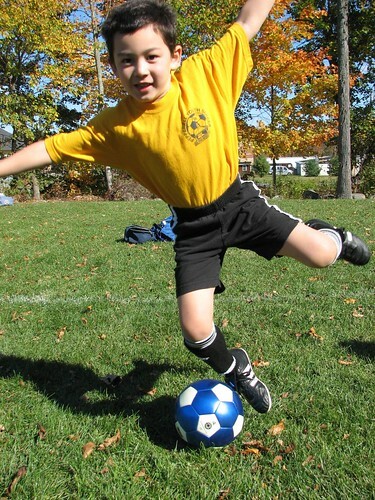 The weather this weekend is making the outlook for outdoor activities like soccer closer and closer to reality! No matter....Spring is on it's way!